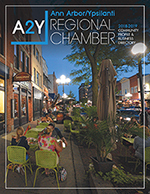 Join friends from the A2Y Chamber for Speed Networking at YpsiAlehouse, there will be networking, refreshments, & lots of fun at this great new event! Pick up a handful of business cards and finish your workday with us. Speed Networking is a structured, efficient and fast-paced event where participants have the opportunity to speak face-to-face with other business representatives, sitting at tables in groups of four or five, three and a half minutes at a time. It is good for experienced and nervous networkers alike and we guarantee that you will meet more people than you typically do during the same amount of time in an unstructured setting. Each participant is allowed to bring one (1) marketing piece to use a prop when talking and then can place the extras on the marketing materials table. If you plan to attend Speed Networking, you MUST RSVP and plan on staying the entire time. The program will begin promptly at 2:30 pm. PLEASE ARRIVE BEFORE THE PROGRAM BEGINS. Late arrivals may not be able to participate. ONLY 1 REPRESENTATIVE FROM YOUR COMPANY MAY ATTEND! Please limit your attendance to no more than 2 Speed Networking events a year. This will allow us to create variety within each Speed Networking event so that you are not meeting the same members at each event.